I come across many people that say they love God but do not see why church is necessary. 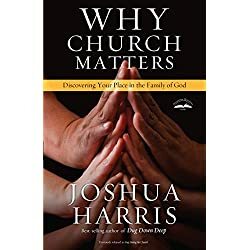 Some of this is caused by the fact that the church has not done a very good job of communicating why they are relevant and important in the life of a Christian. Some of it is caused by the people in church doing things that were not the best for the people attending that church. Part of it is caused by people not being surrendered in their life to God’s will for them. Whatever the reason, they are forgetting that there are some very good reasons why we should go to church. Before I get started, let me define what I mean by church. I am not talking about a denomination or a building. I am talking about the biblical definition of a church which is a gathering of believers together for worship, instruction, fellowship and prayer. Just going to a church building no more makes you a Christian than going to McDonald’s makes you a Big Mac. There are healthy reasons why believers in Jesus should go to church and their are unhealthy reasons as well. Recently I read a blog post on a church website that was filled with many unhealthy reasons. so I want to cover both reasons. You see, I believe that promoting unhealthy reasons is part of the problem of why some people do not go to church. They may not be able to put a finger on it, but they can tell that it is wrong some how and it solidifies their resistance to church attendance for any reason. Unhealthy reasons for attending church. Fear of punishment by God. 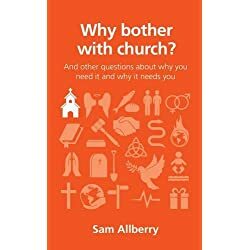 On the website that I referred to earlier, the first reason that the author gave for attending church was “God will chasten us if we don’t”. Fear is never a good motivator or a good reason. If the reason you are attending church is to avoid God punishing you, you are not going to church for the right reason. It is a legalistic and performance mentality that would even view church attendance in that light. To Socialize. The church is not meant to be a social club. It is not the Kiwanis or the Elk’s club. It is not the place to catch up on all the local gossip. People who go to church just to look good or keep up with the latest news are not going to church for the right reasons. To find a spouse. Believe it or not both women and men sometimes go to church just to find a “good mate”. Although the church should be the place where we find our mate, our motive for going should not be to find a mate. Out of a sense of duty or obligation. 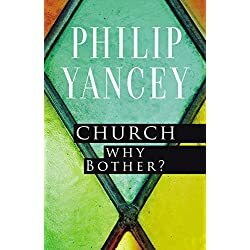 As much as church attendance is a good thing, to do so just because you think it is your duty or obligation is the wrong reason. God is not looking at your performance, He is looking at your heart. He wants you to attend because you want to learn, grow, give to others, and be encouraged in your spiritual life, not because you think you “have to go”. Healthy reasons why people go to church. They want to learn. In the book of Acts it says that the people continued steadfastly in the Apostle’s teaching. That means that they wanted to learn about God and how to walk with God the same way that the Apostle’s did. The church is supposed to be a training center. It is pure pride to say that any of us know everything there is to know about God. We all need to have a teachable spirit and want to learn. They want to be in the presence of Jesus. If Jesus is your savior, then you can’t help but love Him. The church is the body of Jesus. To love Jesus is to love His body. Jesus said that where 2 or 3 are gathered in His name, He is in the midst of them. Notice that He didn’t narrow it down to 1. There is an increased sense of His presence when His people gather together. They want to be made whole. I am not talking about just physical healing, but being made whole body, soul, and spirit. The book of James talks about how this happens as we are transparent with one another and share with one another our struggles and sins, and that we should pray for one another so we may be healed. They want their fruit to last. I have never seen a person who gets saved and then does not get into a local church, stay committed to Jesus. When you lead someone to Jesus, you want that fruit to last. It is done by plugging them into a local church. They want to grow. The relationships you have in your local church cause you to grow. Not only the ones that encourage you, but also the ones that challenge you. Some of the greatest times of growth in my spiritual life have been times where I have been challenged and had to learn how to work with someone who was different than me. They want to give. I am not talking about money. I am talking about using your God given gifts to bless others. Freely we have received, freely we should give. One of the main reasons I go to church is not because of what I will get out of it, but what I can give to others. Jesus called us to be servants, and part of that servanthood is serving other people that Jesus has died for. Those are just some of the reasons why you should go to church. Now compare that list to this email that was sent to me and see if you can notice the difference. 10. I was forced to eat as a child.9. People who eat all the time are hypocrites; they aren’t really hungry.8. There are so many different kinds of food, I can’t decide what to eat.7. I used to eat, but I got bored and stopped.6. I only eat on special occasions, like Christmas and Easter.5. None of my friends will eat with me.4. I’ll start eating when I get older.3. I don’t really have time to eat.2. I don’t believe that eating does anybody any good. It’s just a crutch. and the # 1 excuse for noteating…….1. Restaurants and grocery stores are only after your money. Now do you see why maybe those excuses are pretty lame? So what do you think? Does Jesus want you to go to a healthy church for healthy reasons?